Exclusive 20% Discount for Police Community - Use the code at checkout. We have teamed up with this company to bring our members a great deal! They are offering us a Police Discount of 20% on purchases through their website using our EXCLUSIVE Police discount voucher. We urge you to use this deal and share it with friends and family so that everyone can benefit. The more the code is used the longer we will have access to it! You can find loads of products on The Works website that Police Employees may find useful for their working environment. Plus you will definitely locate hundreds of bargains which the whole family will enjoy, especially the children. Please note that this Discount code is only available to use online and not available in-store. Certain products are exempt from the discount and it won’t work if the item is already discounted. The company has been operating for over 25 years and they specialise in discounted office and home supplies. These include Books, Stationary, Toys and Games and a whole load more! They now have over 300 high street stores throughout the UK as well as running their easy to use website. 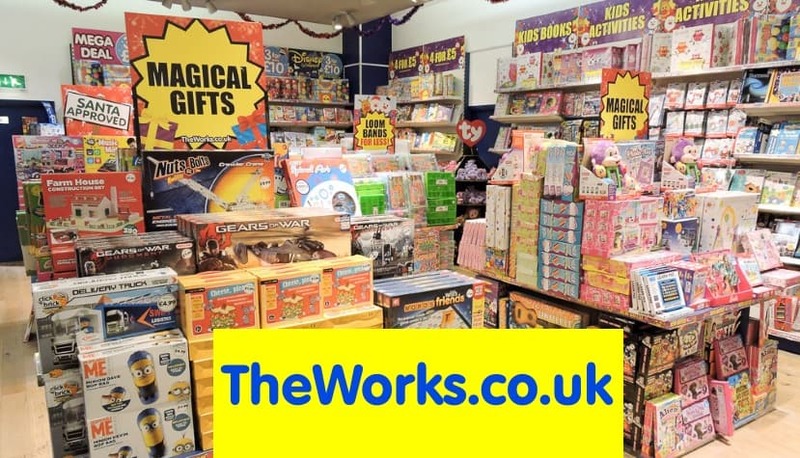 The Works are always providing amazing discounted products and especially within their books section, where you can find bargains galore! Most people want to save online these days and The Works have really pick up on this, with their regular promotions. They provide you with high quality goods at a very reasonable price. They have a FREE delivery service which you can use providing you spend over £20. However, they also provide a in-store collection service. Which means that you purchase the goods online and get them sent to your local store. Ideal way to save on delivery charges if you’re not spending the £20. This really is a great place to start looking for office supplies, stationary and other related products and it’s worth checking our page for the best deals available.